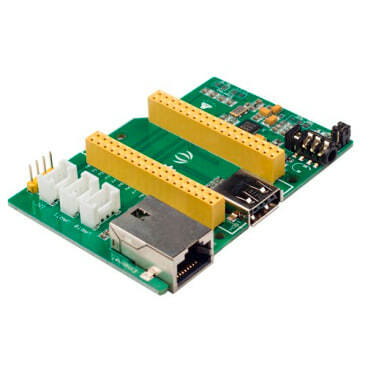 Arduino Breakout for LinkIt Smart 7688 Duo is an Arduino Yún compatible (share the same MCU model) and a Grove port feature expansion board for LinkItTM Smart 7688 Duo  development platform. This breakout board allows you to use different features from Arduino Yún and LinkIt Smart 7688 Duo which will help you build rich applications based on various, robust and compiled Arduino sketches. 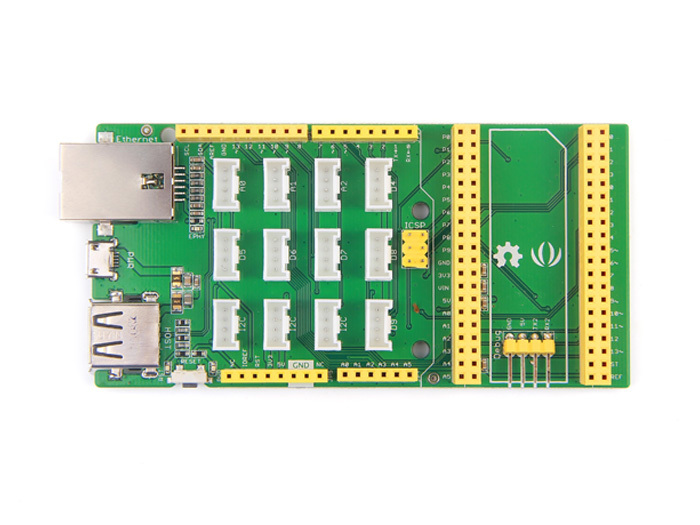 This breakout board will save a lot of work and makes prototyping easier through simplified wiring. So it helps a beginner get a quick start. 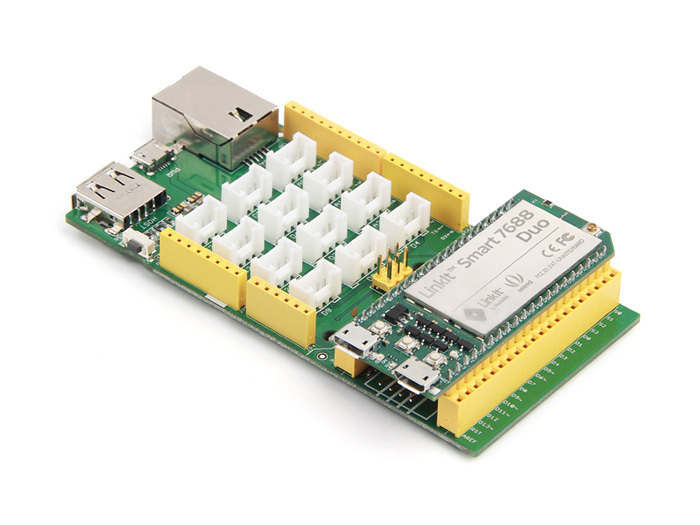 It supports serial buses like I2C, UART and provides access to reserved original pins of LinkItTM Smart 7688 Duo. It also comes with USB, Ethernet and 3.5mm Audio ports. 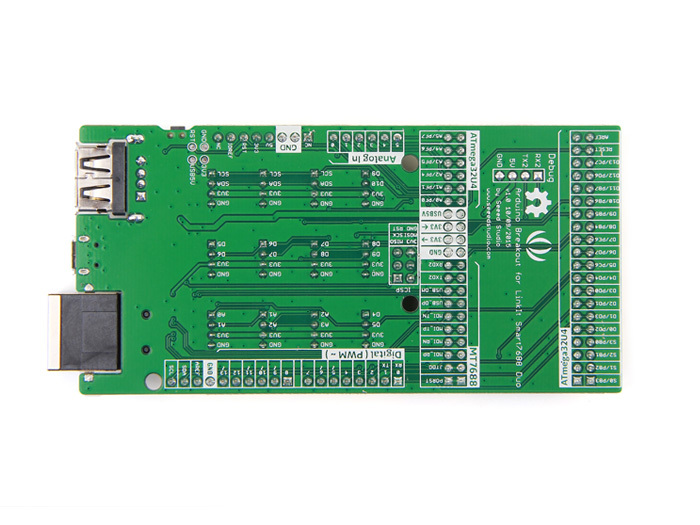 LinkItTM Smart 7688 Duo is an open development board based on the OpenWrt Linux distribution, MT7688 and ATmega32u4. 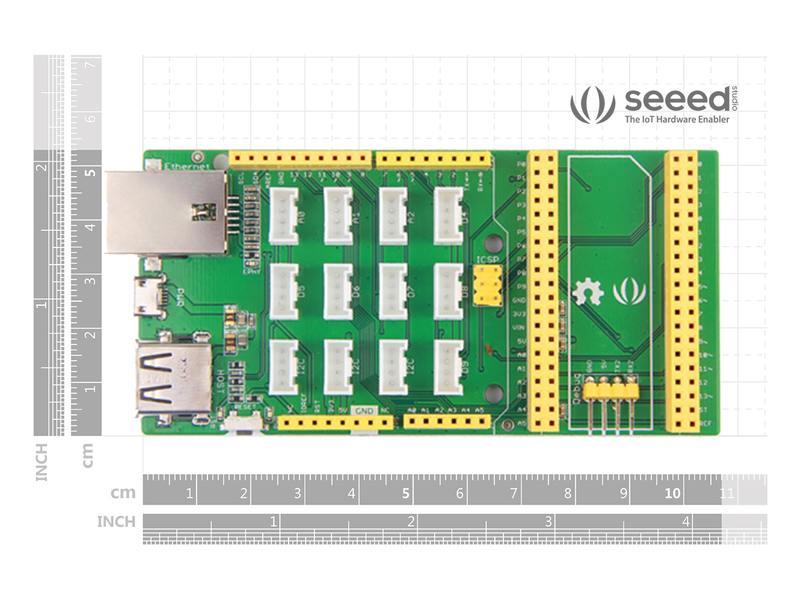 The board is designed especially to enable the prototyping of Rich Application IoT devices for Smart-Home. 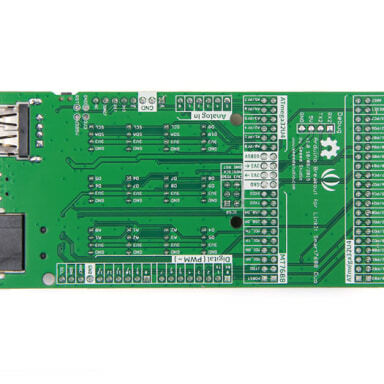 Only one controller board can be main controller board at the same time. Debug pins connect with MT7688, Other pins connect with ATmega32U4. 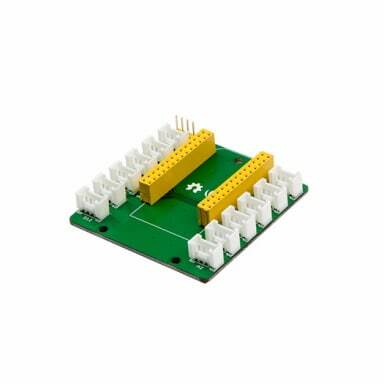 Note: As you need to plug LinkIt Smart 7688 Duo on this breakout, align the side with USB micro type-B of LinkIt Smart 7688 Duo to the side with UART2 of Arduino Breakout for LinkIt Smart 7688 Duo. 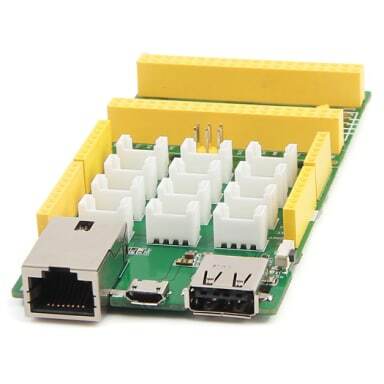 Connect rich Grove interfaced functional modules. 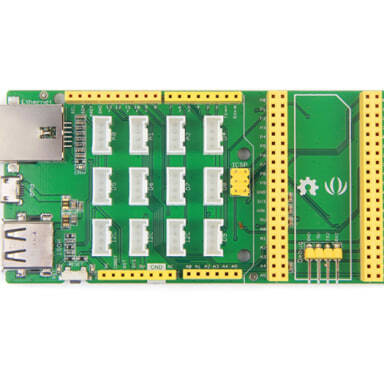 With this kind of ports, you never need jumper wire or soldering work, and you can make more powerful applications with those functional modules. 1. 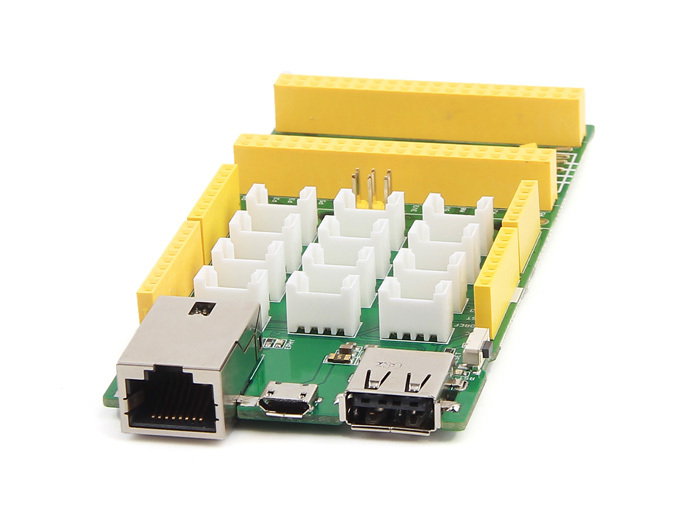 Refer this to connect your LinkIt Smart 7688 Duo to internet. 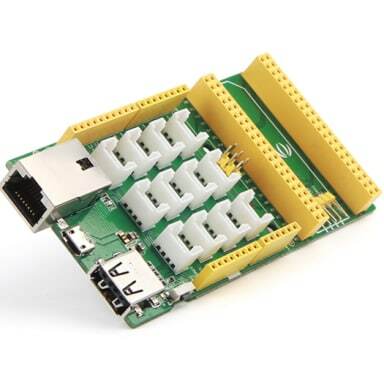 Note 1: You can find Pin 8, Pin 9 and Pin GND close to the port to be connected LinkIt Smart 7688. Note 2: You can plug jumper wires into MT7688 UART2 port instead of soldering them to Pin 8, Pin 9 and Pin GND. 2. 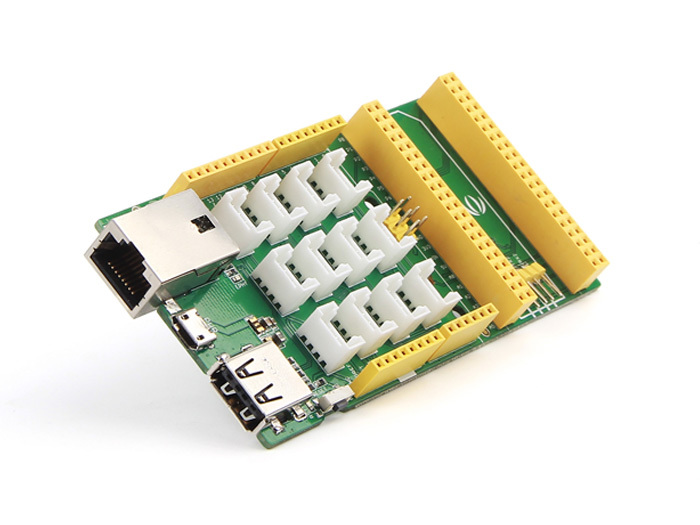 Open a console after connecting an USB to Serial adapter to LinkIt Smart 7688 Duo. Note: Plug Grove - Buzzer into port D4. 4. 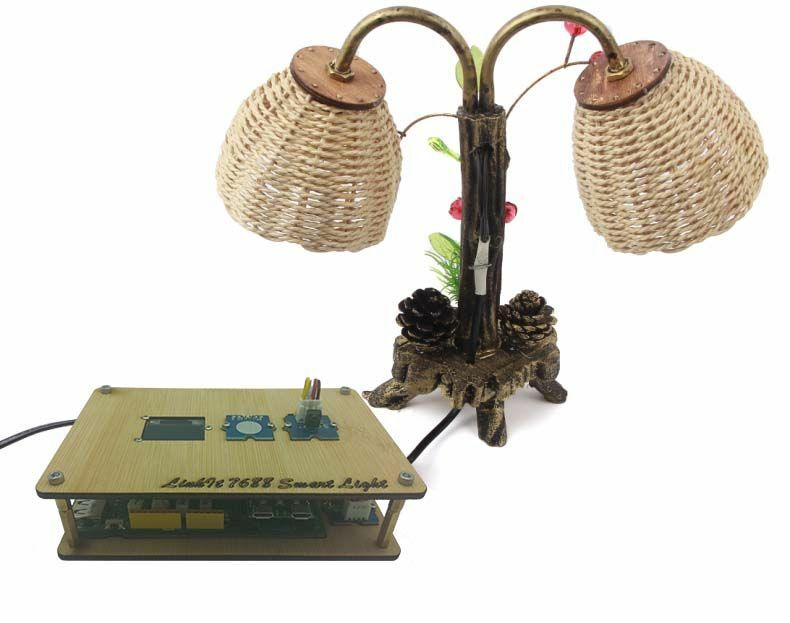 Refer this to build the Arduino environment for LinkIt Smart 7688 Duo platform on host computer. 5. Download firmata. Refer to here to install Arduino IDE for LinkIt Smart 7688 platform, and flash the file firmata to developent board. 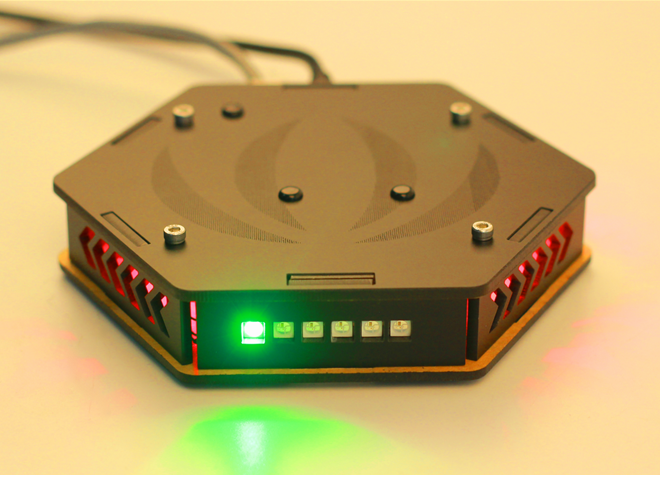 Note: Following steps are carried out on embedded OS(OpenWRT). 6. Type pip install pyfirmata into console and press Enter to install python library pyfirmata. 7. Create a file named buzzer.py with typing vi buzzer.py in console, copy the code below into it. 8. Save buzzer.py and type python buzzer.py to run the example code. 9. Now you will hear the buzzing. 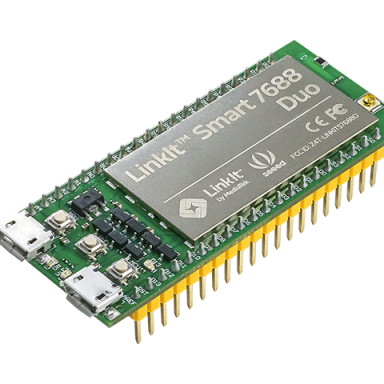 Link to buy a LinkIt Smart 7688 Duo. 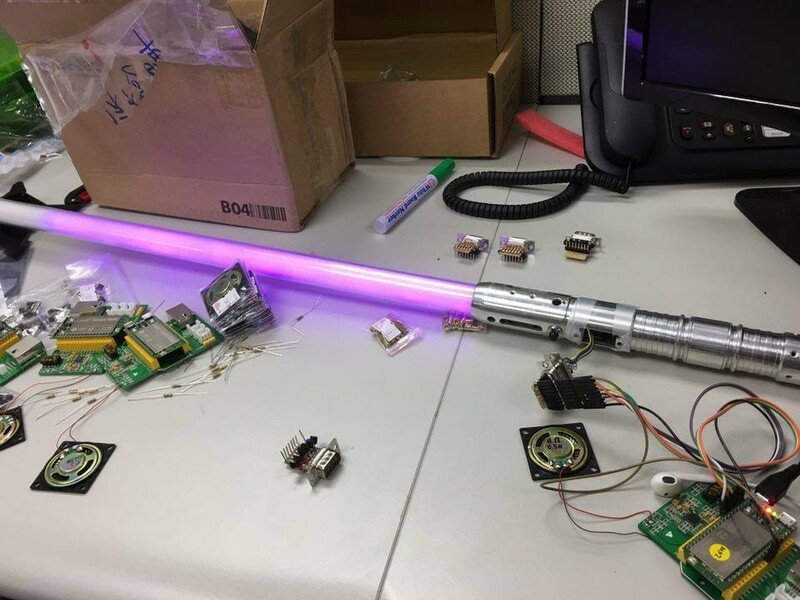 Wiki link for LinkIt Smart 7688 Duo. 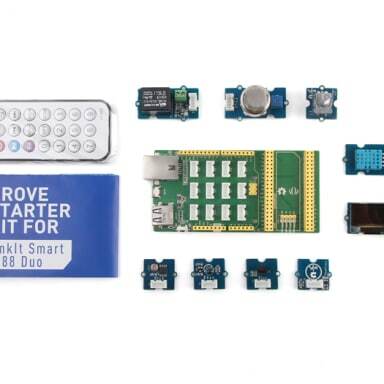 Arduino Breakout for LinkIt Smart 7688 Duo is an Arduino Yún compatible (share the same MCU model) and a Grove port feature expansion board for LinkItTM Smart 7688 Duo development platform. This breakout board allows you to use different features from Arduino Yún and LinkIt Smart 7688 Duo which will help you build rich applications based on various, robust and compiled Arduino sketches. 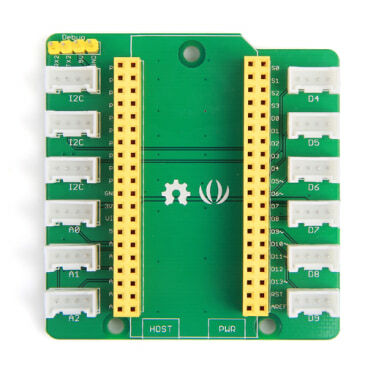 This breakout board will save a lot of work and makes prototyping easier through simplified wiring. So it helps a beginner get a quick start. 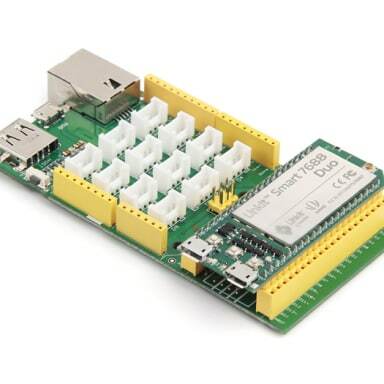 It supports serial buses like I2C, UART and provides access to reserved original pins of LinkItTM Smart 7688 Duo. 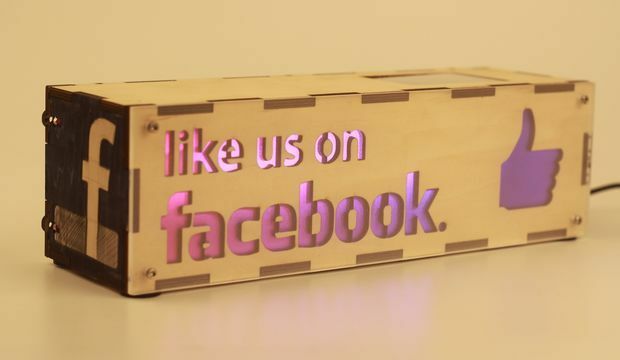 It also comes with USB and Ethernet ports. In addition, it also integrates several frequently used peripheral ports such as USB port, Ethernet port. 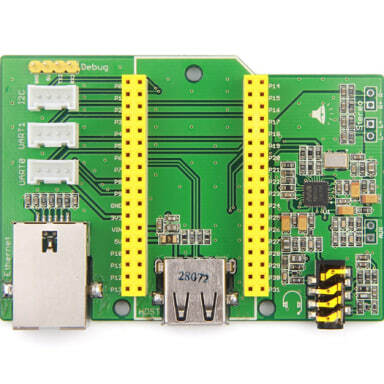 LinkIt Smart 7688 Duo(a compact controller board) is an open development board, based on the OpenWrt Linux distribution, MT7688 and ATmega32u4. 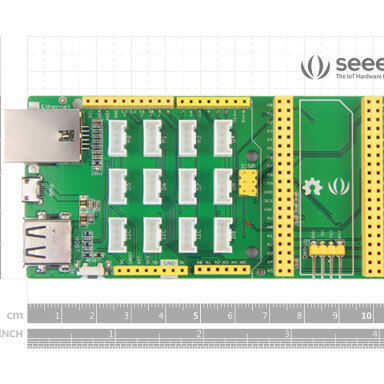 The board is designed especially to enable the prototyping of Rich Application IoT devices for smart house.